Something occurred to me yesterday, I haven’t shared any new recipes in the madness of the last week. Shame on me. 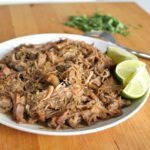 With Cinco de Mayo right around the corner everyone should try this extremely flavorful yet blessedly easy Beer Braised Carnitas. Mr.B had a birthday this week. Our original plans included a four day camping trip up north but the truck just isn’t off-road ready yet, so we invited folks to join us for a long weekend at the casa instead. My lovely MIL came down for a few days, the mister’s mini-me was here plus other family and friends wandered in and out over the course of four days. Guests arrive as early as 9 am, some lingering into the wee morning hours. Drinks are plentiful, the conversation is stimulating and demand for good food is high. 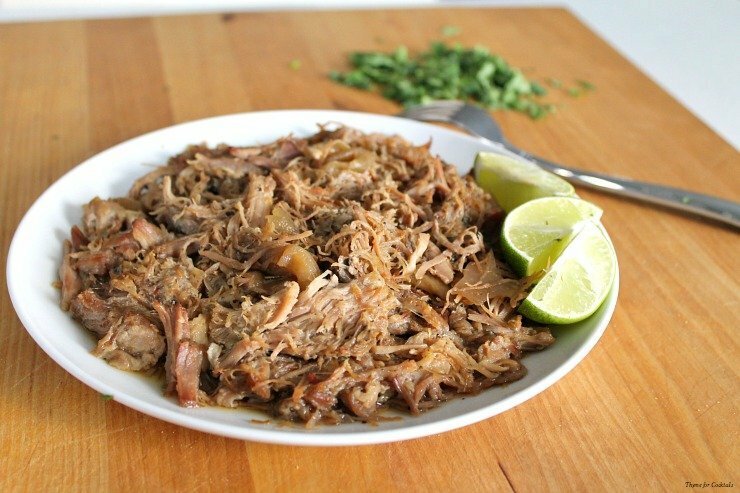 Crockpot dishes are my lifesaver in these situations and carnitas is a family favorite. I have been wanting to up my game with boozy recipes so while prepping the pork I grabbed a beer instead of my usual stock. The results were savory and succulent! I doubt I will make it any other way from now on. The beer choice is yours but stick with a lighter lager, I used the popular Mexican brand we had on hand. 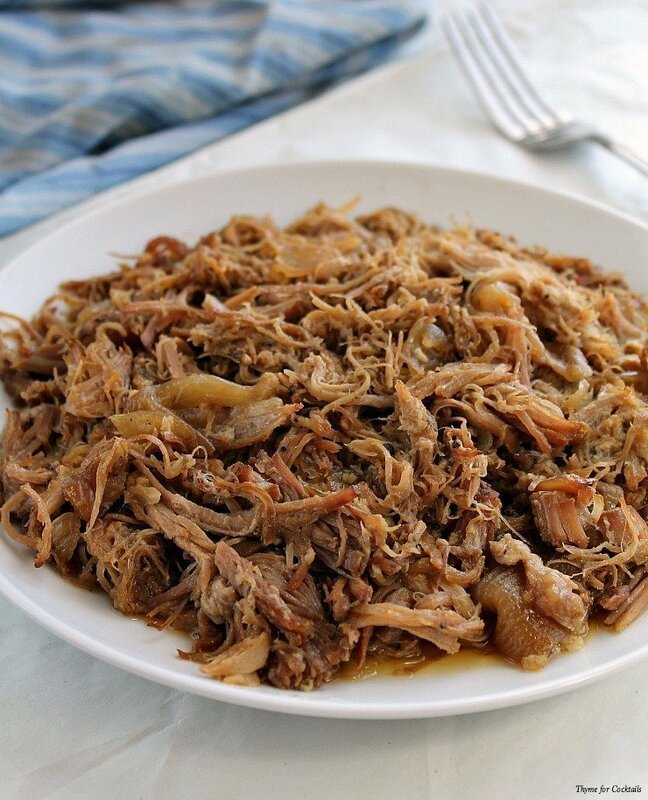 Succulent southwest pulled pork braised in beer then fried until lightly crispy. Mix spices together, rub all over pork. Wrap meat in plastic wrap and place in a large zipper plastic bag or wrap in aluminum foil. Refrigerate overnight. Cut onion in large pieces, place in bottom of a large crock-pot. Add bay leaves, garlic cloves and beer. Place pork on top of onion pieces. Cook on low 6-8 hours until fall apart tender. 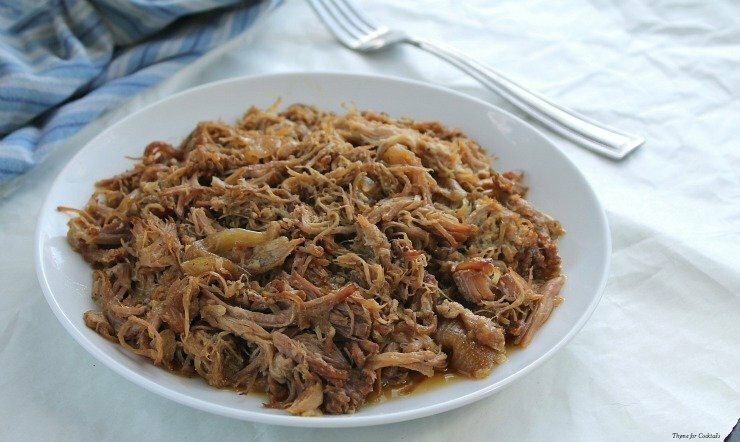 Remove pork and onions, shred with forks. Heat a large cast iron skillet over medium high heat. Add canola oil. 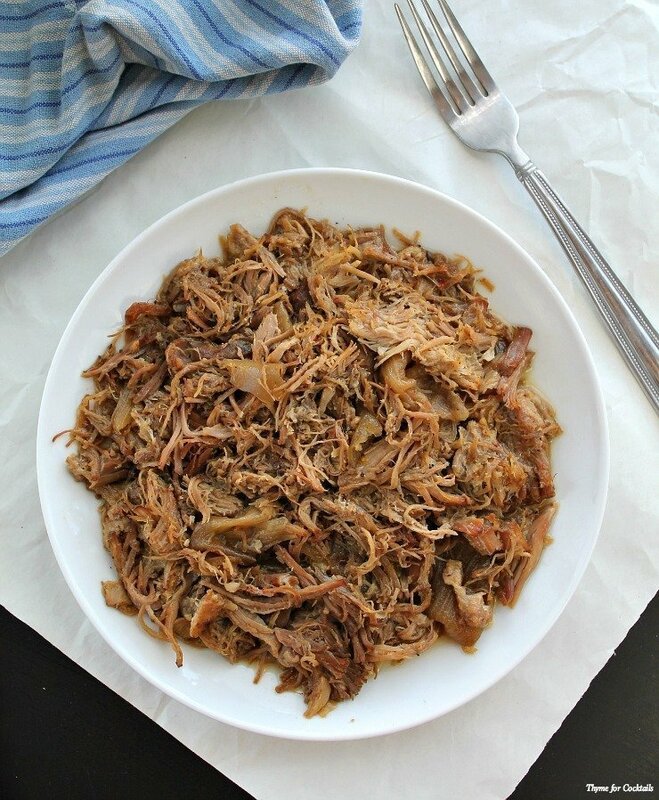 Add individual portions of pulled pork, fry until edges are slightly crispy. Serve immediately.